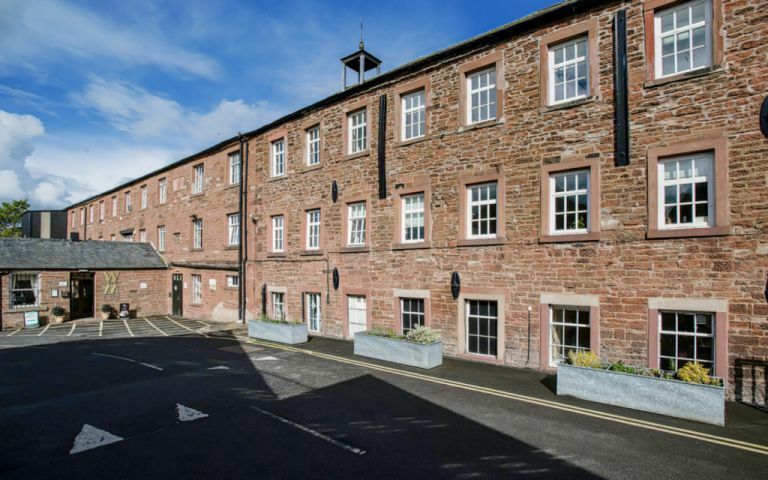 The Serviced Offices in Carlisle are situated within a beautifully refurbished former textile mill, close to J43 off the M6 motorway and only a few minutes from Carlisle City Centre. Warwick Mill is ideally located for servicing Cumbria, South West Scotland and the North East. Fully D.D.A compliant and with ample FREE and more importantly secure parking the Business Centre offers unrivalled value and professional yet friendly working environment. The Carlisle Serviced Offices are in Warwick Bridge, Carlisle is only three miles east of Junction 43 of the M6 motorway on the A69 (Carlisle-Newcastle Trunk Road), a location that is easy to get to, yet provides tranquil and attractive surroundings. These offices in Warwick Mill offer a range of prices depending upon your exact requirements. Contact us now and we will help find the best price for you, based on your individual needs. The Carlisle serviced office is in a newly erected three storey building. Impressive open atrium reception. Quiet easily located street close to Carlisle city centre.